So how do you make money with a blog? We will start from cash in hand and work our way backward: let’s say $100,000 in your bank account. Sounds nice right? That is about $8,333 a month or $274 a day. So, what does it take to make $274? There are a few basic ways to make money with a blog. To get some perspective and see what it takes, we look at the main methods, with some typical numbers. Notice how much a small change in price can impact the numbers you need to sell. @ $3.99 / download you need to sell about 69 eBooks a day. @ $9.99 / download you need to sell about 27 eBooks a day. @ $50 / hour you need to sell and provide about 5.5 hours of consulting a day. @ $75 / hour you need to sell and provide about 3.5 hours of consulting a day. Each blogger, blog, and topic lends itself to a different method. There is not single way to make money with a blog. I know bloggers who do well on video courses, but I also know bloggers (just a few) who make a killing on ads alone. However–just considering the numbers alone–selling 11 courses a day is hard, but 1,100 ad clicks a day can be much harder. Also, selling 3 products worth $99 takes less work than selling 40 eBooks worth $3.99. It is something to consider starting out: if you can produce something valuable, bigger is better. The traffic you need for a single sale depends on your conversion rate (the percent of users that complete a sale or desired action). If 1 out of every hundred visitors converts (clicks, gives you money, etc), then your conversion rate is 1%. More expensive products tend to have a lower conversion rate than cheaper products. Ads typically have a lower conversion rate as well. Let’s assume a 1% conversion rate (which is about standard for many products). 1. The three variables you can control (or at least influence) are: product price, traffic, and conversion rate. 2. Pick a product that has a good return. It is really, REALLY hard to consistently generate the 3.3 million page views a month needed for google advertising. It’s not as hard to do 9,000 a month and produce a valuable product worth $99. Pick the right product! 3. Traffic is key! If you don’t have people’s attention and trust, you don’t have anything. 4. Improve the conversion rate! Many bloggers forget about this step. Going from a 1% conversion rate to a 2% conversion rate means doubling your yearly blogging income! Did you get that? 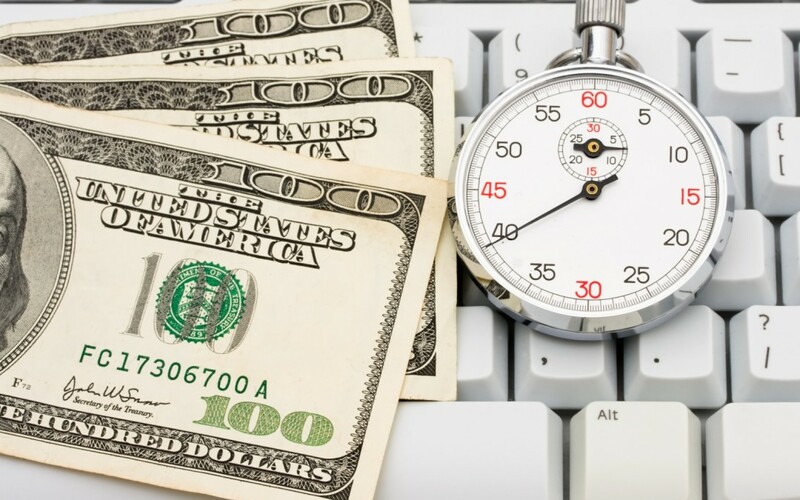 Optimizing your website for conversions can double your income! Disclaimer: all the numbers here don’t take into account a sales funnel, sales pages vs non sales pages, etc. Really figuring out how to make money with a blog can be a real challenge.